FEFCO code 0203 is the same as 0201 but with flaps that cover the base and top completely, known as a full overlap box. This gives extra strength to the cardboard box when assembled for heavy-weight product packaging needs. 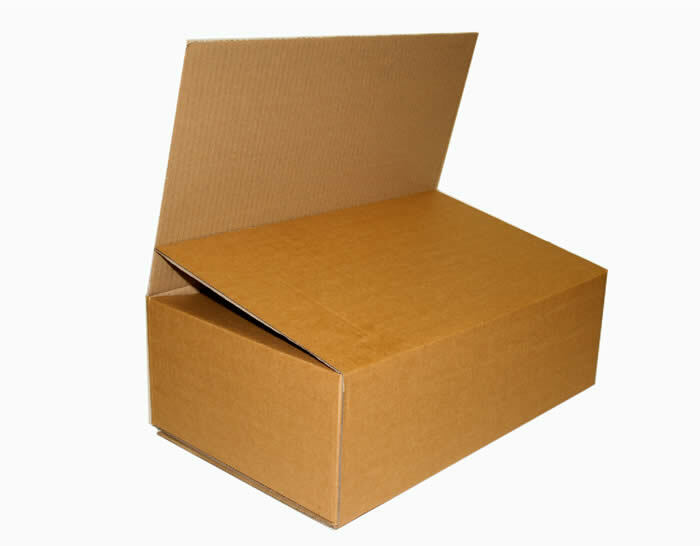 As with the 0201 packing case we can manufacture this style of box in the various fluting profiles, plain or printed. The boxes can be stitched or glued. Boxes will arrive flat packed and strapped for ease of storage. Pop the box up and close the flaps, then tape it shut.